Online restaurant guide and food ordering service provider, Zomato India initiated tamper proof packaging for 10 Indian cities. It includes cities like New Delhi NCR, Mumbai, Bengaluru, Hyderabad, Kolkata, Pune, Jaipur, Chandigarh, Nagpur and Vadodara. 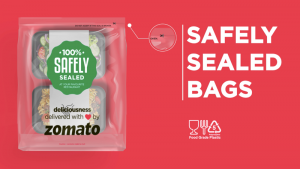 Zomato also said in a press release that they’ve recieved a positive feedback for this packaging and 25 percent orders of more than 5000 restaurants are already using it. The packaging is made up of polymer with a thickness of 50 microns which is recyclable or reusable. In the not-so-distant future, we will move towards a biodegradable option,” said the company statement. 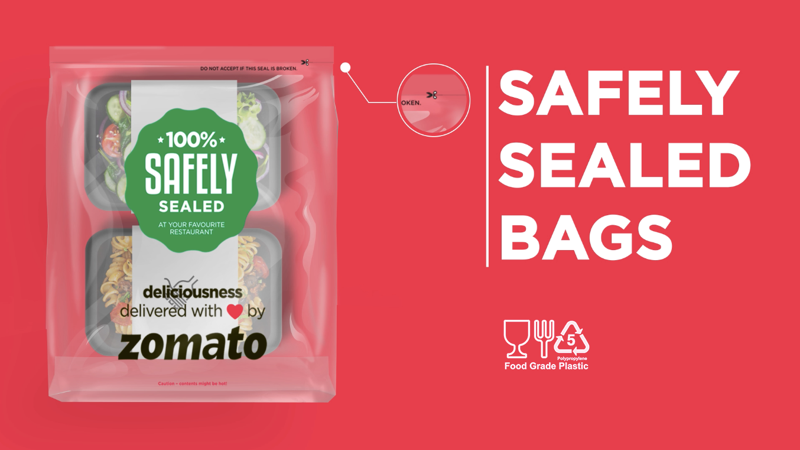 Normally with this new initiative Zomato can build a strong trust and reputation as tamper proof packaging will help in maintaining the hygiene, taste of food and quality of the food.